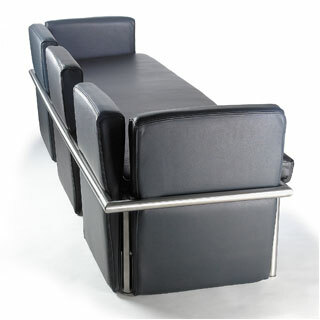 Sofa A modular sofa concept for up to 4 persons in stainless steel and leather. Length: 197 cm, depth: 62 cm. The frame is conceived to receive stiff cushions from many different angles, while cushions not currently in use can be stored underneath. The concept offers almost unlimited possibilities of individual expression. There also exists a relaxing leisure version for two…only your imagination sets the limits. 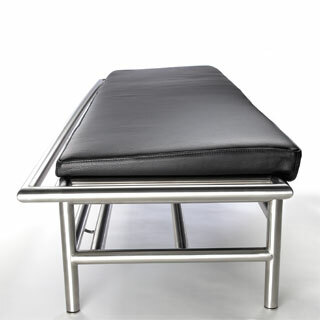 Sofa table an extensible 3 sheet low table. The unique foot concept makes it possible to keep all 3 layers glass at the same size. The three glass layers of the sofa table have a basic diameter of 80 cm. When folded out the foot place of the table leaves good space for sitting people, while the clover shape can be adjusted in different position. Stainless steel and tempered glass. Armchair An untraditional way of shaping your furniture according to your mood. 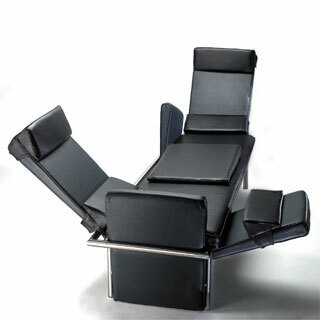 The armchair is based on the same concept as the sofa, and the parts are interchangeable. 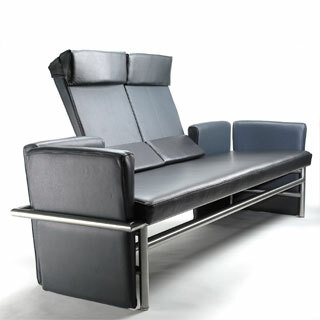 The comfort level can be fine tuned to individual needs by using different angles of the frame, stacking up cushions or moving the pillows. Shelf The shelves can be adjusted stepless by turning them up and down like a screw. 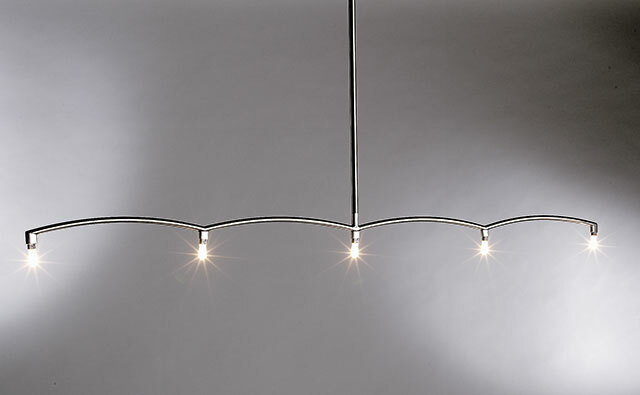 Lamp is available in two sizes, with four or six curves. Length: 103.5 cm or 155.5 cm. 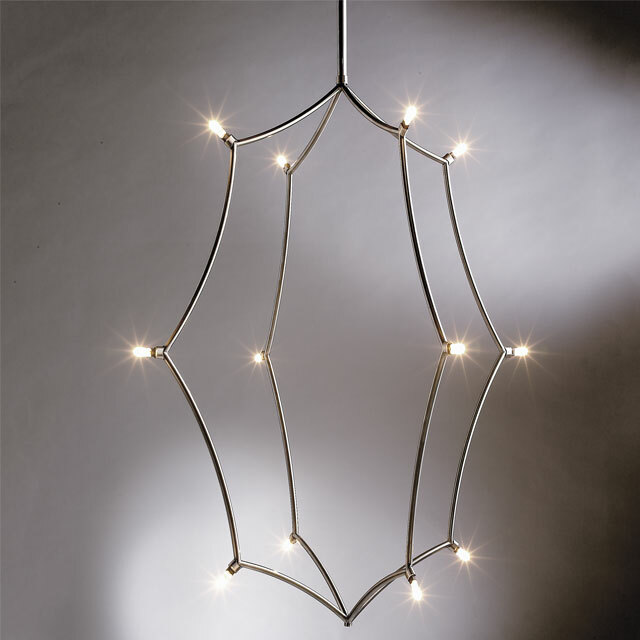 The light chandelier boasts a discreet and classic design.